Recientemente renovado casa en el sur histórico de Omaha. A 4 cuadras de la I-80. 15 minutos a la base de la fuerza aérea de Offutt. Fácil acceso a todos los hospitales y distritos de entretenimiento: Midtown Crossing, Aksarben, Blackstone y Old Market, CenturyLink Center - Inicio de la Reunión Anual de Berkshire Hathaway y TD Ameritrade Ballpark - Casa de la Serie Mundial de Colegios. Cerca de entretenimiento y casinos en Council Bluffs, Iowa. Casa tiene 3 dormitorios, 2 baños y gran salón y cocina. Dos habitaciones con camas queen. 1 dormitorio con 2 camas individuales. Gran sala de estar tiene TV y equipo de música con cable, WiFi e Internet. Lavadora y secadora en el sótano lavadero. Área de asientos de porche para disfrutar del cóctel de la noche y la conversación. Café de la mañana en el porche cerrado o zona de estar exterior. Los niños menores de 5 años no cuentan para el recuento total de huéspedes. Este es un no muss, sin alboroto de alquiler. Todo lo que necesitas está aquí. Exceptional Property with a host who truly cares. Highly Recommended! 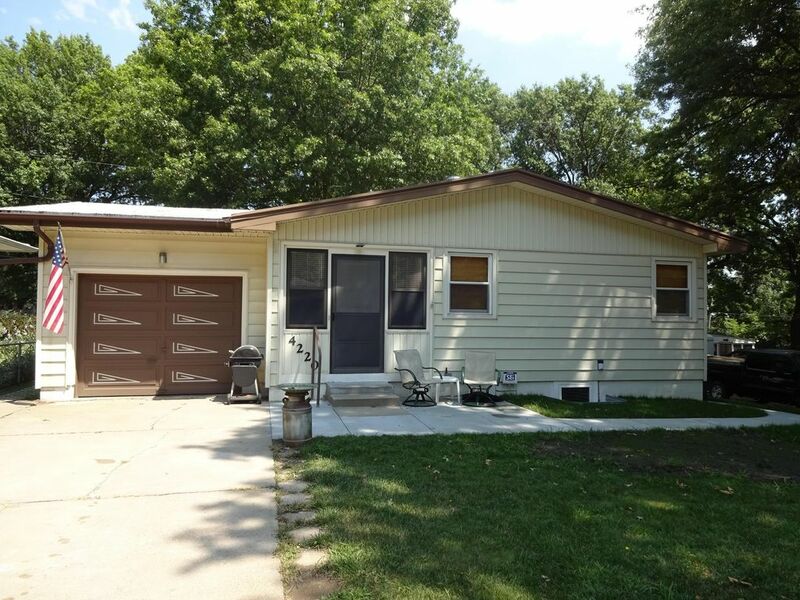 Location: Great location with easy access to I-80 allowing quick access to any part of Omaha. Neighborhood: Well maintained neighborhood. All home owners nearby take pride in their homes and neighborhood. Home: Very cozy with lots of recent updates. Extremely impressed with the cleanliness, and attention to detail with this property. Its very comforting to stay at a place where the owner goes the extra mile to ensure the guests are happy with their experience. These home owners really care and it has been recognized. Pictures dont justify the quality of this place. Amenities: Well stocked with everything you need including cookware, great coffee machine and a very clean washer/dryer area/setup. We were there for an anime convention. The house was the perfect base for coming and going and cosplay changes. I loved that the kitchen was well stocked so we could save money on meals. Also really appreciated the second bathroom! VERY handy with 5 women/girls there. The neighborhood was quiet, and the couches were very comfortable for sitting back and watching TV. It was less than 10 minutes to the convention. The house was very clean, and we appreciated the special touches. Thanks for the cookies! We would stay here again! This house made our Omaha visit very enjoyable! The location is very close to the zoo and Children's Museum, so we did not have to spend much time driving around town. The beds were comfy, the kitchen well stocked, and we felt very welcome by the owner. The neighborhood was quiet, which we appreciated. We would definitely stay here again! Delightfully decorated cozy home with easy access to zoo and children’s museum. Spotlessly clean with comfortable beds. Dead end street close to i80 so very quiet. Spent the weekend with 9 and 11 year old grandsons. Would stay there again. And the cookies and wine were a very nice touch! This place was really top notch! The furnishings were beautiful and comfy. The kitchen was well stocked with everything you would need for meal preparation. Nothing second rate about this home. Quiet neighborhood, comfortable, and cozy with easy access to all Omaha has to offer. We've been taking 'girl getaway' weekends since 2001 and this is my favorite rental home! Will be staying here again! PS the welcome goodies were yummy! College World Series 2019: More than 4 guests per night additional $50.00 per guest. Up to 6 guests.